Location approvals are technical documents regulating the conditions for project design and construction issued in accordance with the Law on Spatial Planning and Construction, special laws and bylaws, as well as spatial planning regulation. Documents which are the base for the issuance of location approvals are the zoning plan, zoning plan of special purpose zones, regulatory plan, urban-planning design, and subdivision plan. 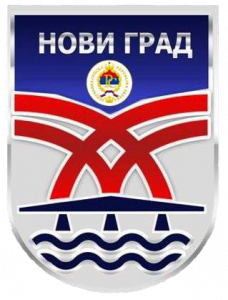 The Location approval is issued by Department for urban planning, utilities and housing services of Administrative service of Novi Grad Municipality, in whose territory are planned construction works. f) The concept design, the proof of ownership or the proof of right on the building lease, for structures for which is not required a building permit. In case that utility company or public company do not deliver its opinion within fifteen days as of the date of submission of the official request, the shell is considered that there are no specific conditions and, in that case, urban-planning and technical approvals are being issued based on the situation on the ground. The location approval shall be issued with fifteen work days as of the date of submission of completed application. If the area of the future construction site is encompassed by the spatial plan, location approvals have consisted of an authenticated extract from the spatial plan and urban and technical conditions. The location approval shall remain valid until a change of the existing or the adoption of an executive spatial plan. Should the investor fail to submit an application for the issuance of building permit within one year as of the date of issuance of the location approval, before submitting the application, the investor shall be obliged to acquire a certificate confirming that no changes occurred with regard to the issued location approval.